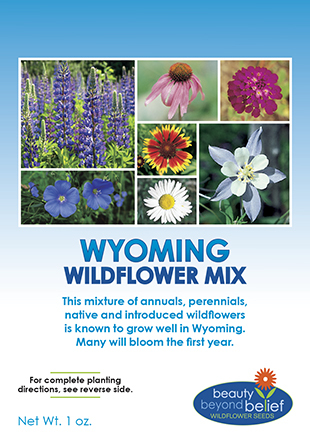 This is a stunning mixture of annuals, perennials, native, and introduced wildflowers that are known to grow well in Idaho. Many will bloom the first year with the perennials becoming established the first year and blooming the following years. 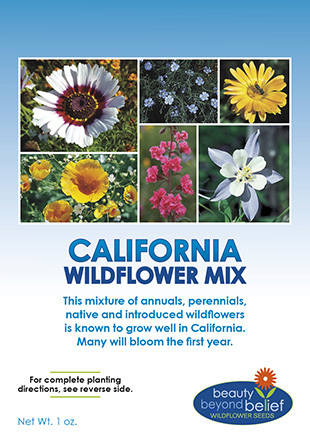 The first year’s impact of annual bloom can be repeated by reseeding with an All Annuals Mix. 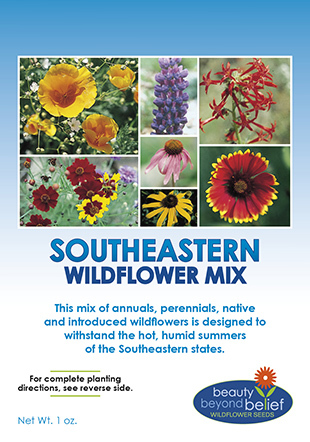 ***This mix also is available in a ‘Livestock Safe’ version that excludes Lupines and Larkspurs. Please make a note in the comments section when ordering. 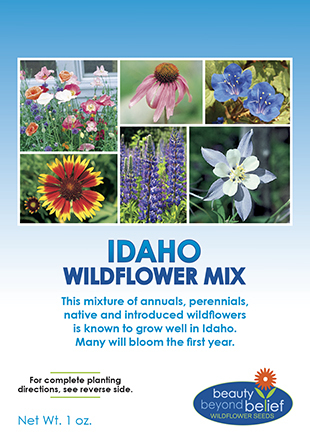 This Idaho Wildflower Mix is a stunning mixture of annuals, perennials, native, and introduced wildflowers that are known to grow well in Idaho. Many will bloom the first year with the perennials becoming established the first year and blooming the following years. The first year’s impact of annual bloom can be repeated by reseeding with an All Annuals Mix. Plant in the early spring. Lightly rake in and cover with a thin layer of good soil or mulch to aid with water retention, no deeper than 1/8 – 1/4th inch. If irrigation is possible, soak the area once and keep moist until germination. In dry climates or in drought, up to 1/2 inch of irrigation per week may be required after germination until plants become well established. Scattered seedover a semi-shaded area with lodgepole pines in the cascade , Idaho area, and had great luck with summer blooms after Spring sewing. did supplement with watering due to dry climate. Would recommend this.